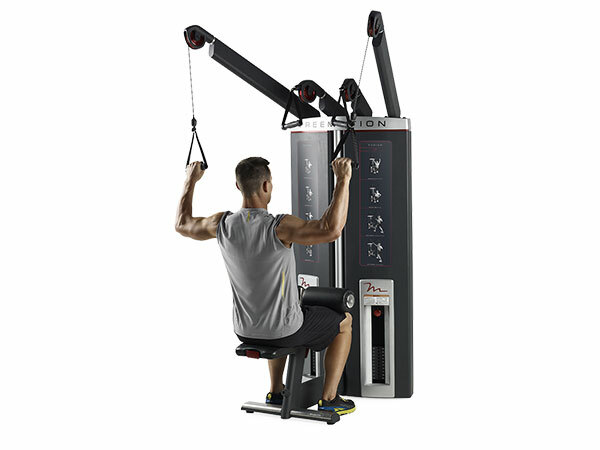 The Genesis DS Lat Pull-High Row engages the arms, shoulders, back and stabilizer muscles to improve overall core strength and balance. An adjustable thigh pad comfortably secures legs throughout the workout while the pivoting, padded seat pad can be quickly folded away for standing workout positions. Create custom workouts that incorporate arms, shoulders, back and stabilizer muscles using beneficial “pulling” moves that include the frontal plane, rotational pull and unilateral pull. Contoured, thigh pads adjust in height, and also swivel and slide, to fit people of all sizes. 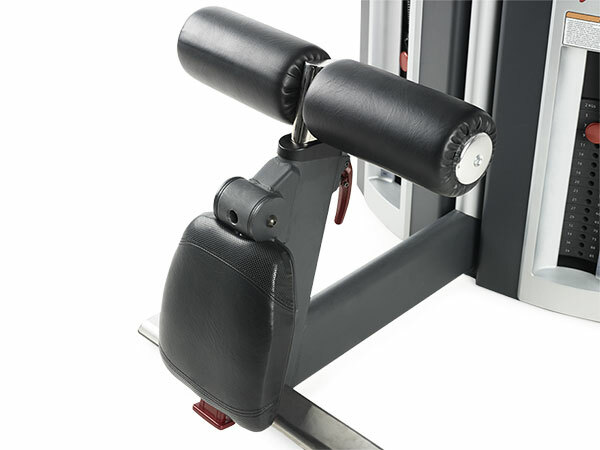 Quickly fold away the padded, pivoting seat to change from seated row to a standing lat exercise. 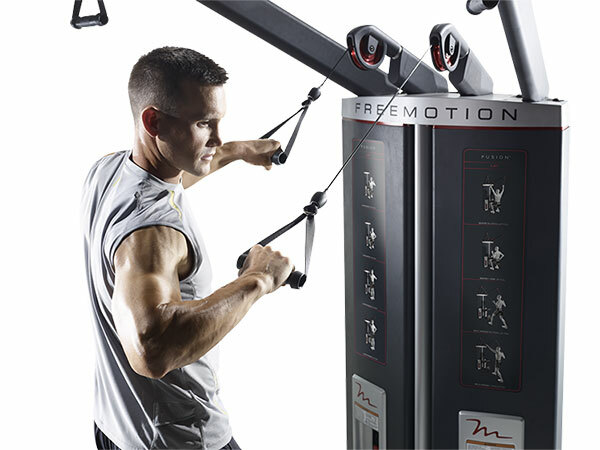 Engage arms, shoulders, back and stabilizer muscles in a variety of pulling options including the frontal plane, rotational pull and unilateral pull. Handles can move together or one at a time to create results-driven lat exercises and single arm strength movements. Quickly fold away the padded seat to change from seated to standing movements. 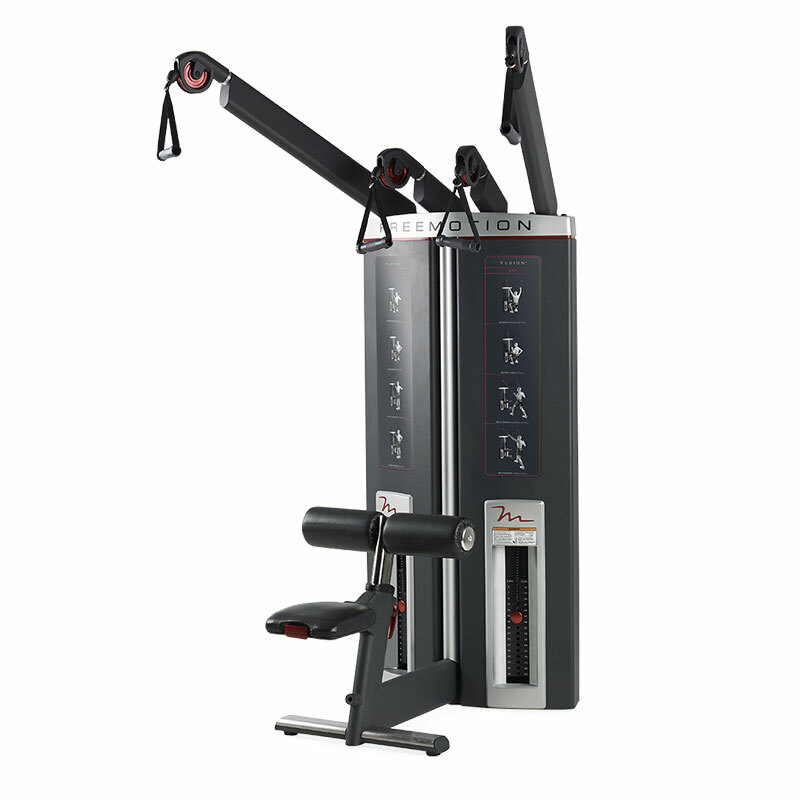 Built to last, the Genesis DS Lat Pull/High Row press works for people up to 400 lbs (181 kg).